What is the best way of improving fitness while enjoying your workout? Choosing an Eden Prairie boot camp can provide the stimulation needed to stick with an exercise regimen. Often people become bored when doing the same exercises day after day. Motivation goes out the door and soon you begin to find excuses not to exercise. Although boot camp is not easy, it is a combination of many exercises of shorter duration. Trainers that provide the instruction needed to help you improve your workouts and achieve your goals are just one of the advantages of choosing boot camp. Why Choose an Eden Prairie Boot Camp? The time spent working out at boot camp can minimize stress. Today, stress is more predominant than ever with the hectic lifestyles and the pace at which everyone is trying to juggle work, home and family. Stress is one of the major causes of being overweight. Many times the body’s response to stress is to seek food. This is a temporary comfort and it adds unwanted pounds. Exercising will relieve stress and provide the energy needed to cope with the million and one things that need to be accomplished in a day. The workouts provide an outlet for the tension that is felt when you become overwhelmed with so many tasks. You will look forward to attending the classes because they make you feel so much better. It does not matter if you need to lose 10 lbs. or 50 lbs. The trainers at an Eden Prairie boot camp are committed to helping you achieve your weight loss goals. 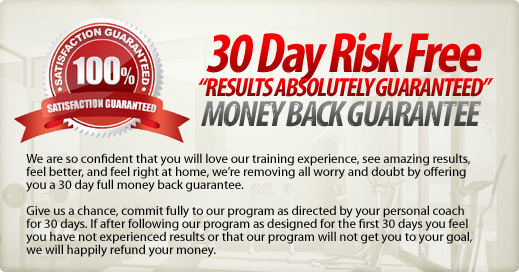 They use the safest methods of losing weight that will result in approximately a loss of 3 to 6 lbs. and 2% to 5% loss of body fat every 30 days. In addition, your body will feel firmer and more toned and your energy levels will soar. Many activities such as resistance training, light running, team training, lunging, hiking and crawling will allow the workout to be fun and it is definitely not boring. Meeting people that have the same goals you have is a motivational aspect as well. You do not have to stop attending boot camp once you have attained your weight loss goal. Many people continue to go to maintain their weight loss and keep their body fit. Choosing an Eden Prairie boot camp can be beneficial for everyone. From those who are trying to regain a pre-baby shape to people who have a tendency to gain weight due to genetics, boot camp can be the answer. As an alternative to costly gym memberships and diet programs that make you feel deprived, Eden Prairie boot camp can be the answer to getting rid of that stubborn body fat.